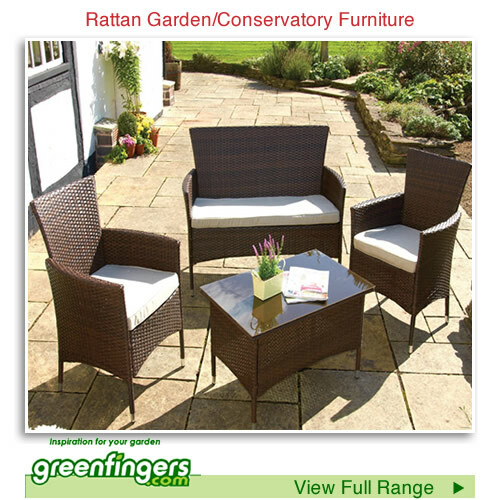 For beautifully designed garden and conservatory furniture take a look at the huge range at Greenfingers.com. As one of UK’s largest online gardening specialist there’s plenty of inspiration for creating the perfect setting for relaxing outdoors. 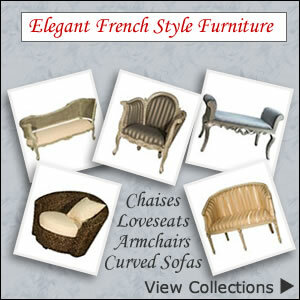 It’s here we came across the brand new all weather Poly Rattan garden furnuture range. 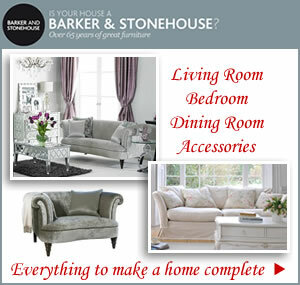 From swing beds, loungers and 2 person bistro sets to patio tables, chairs and sofas there’s something for everyone. Manufactured from a rattan-look man-made fibre with a steel frame makes this a lightweight yet sturdy choice for the patio, conservatory or garden. Best of all the weatherproof construction will not fade and is maintenance free requiring an occasional clean with a damp cloth. Investing in an outdoor bench or sun lounger made of high quality flat weave poly rattan will give you many years of use. The modern clean lines along with its hardwearing qualities is suitable for a porch, balcony, patio and lawn area. The range of frost, water and UV resistant furniture includes space saving benches, day beds and elegant garden love seats. 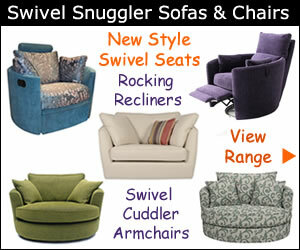 Lighten the look and feel of a sunny room or conservatory with the addition of a compact sofa. Small in size so it doesn’t take up too much space and just perfect for two people. Position beneath a bay window or a favourite spot overlooking the garden and sit back and enjoy the moment. Choose from a wide selection of mixed brown, black, silver, grey and natural coloured rattan furniture at great prices also check the latest sale and offer pages.